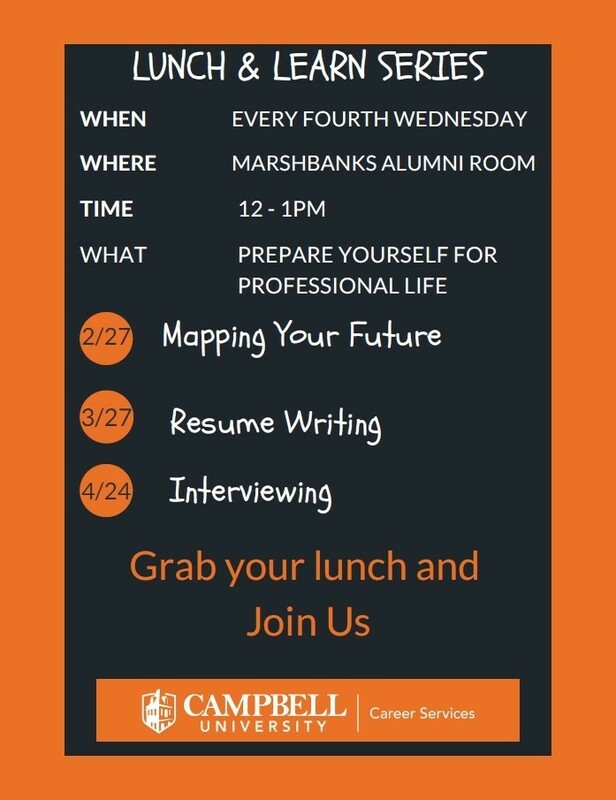 Career Services invites students to our Lunch and Learn series every 4th Wednesday of the month. This month we will focus on Mapping Your Future. Grab your lunch and join us in Marshbanks Alumni Room at 12pm on February 27th.